TDA2030 is a circuit integrated monolithic in Pentawat® package, to be used as class audio amplifier AB. Typically he supplies up to 14 Watts of potency (d=0.5%) @ 14V/4Ω. The guaranteed potency is 12W in a load of 4Ω and 8 watts in a load of 8Ω. Integrated him/it bill with circuits of component protection. 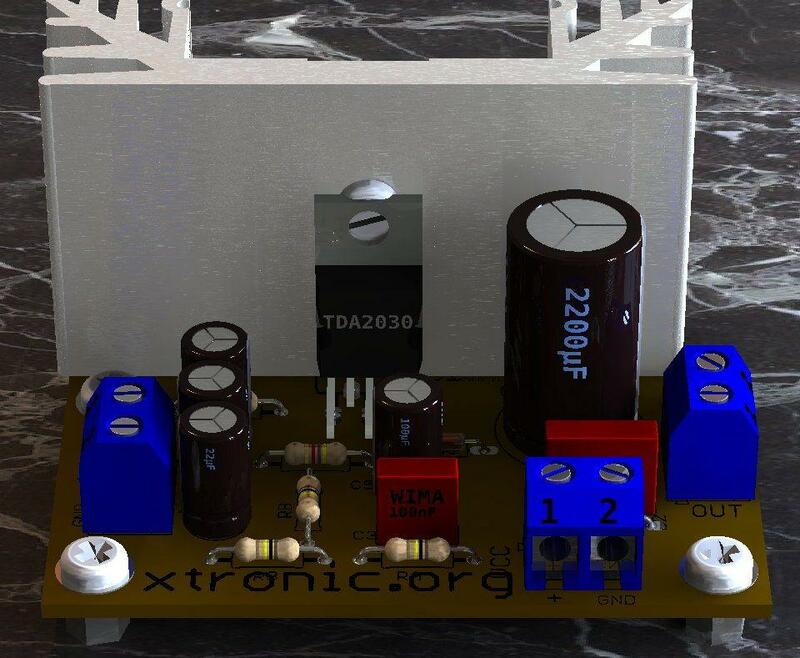 Audio amplifier with having integrated tda2030, using source of simple feeding, for potency of 14 watts with a source of 15 volts. That source should be with transformer, rectificators and good filter capacitors, there is not need of regulated source. for protection of the circuit to use a fuse of 3 amperes in the line of +b of the amplifier. Use a heat-sink of heat in the circuit integrated tda2030. See the datasheet of the tda 2030 to know which heat-sink to use. That integrated it is cheaply and easy to find at the market. 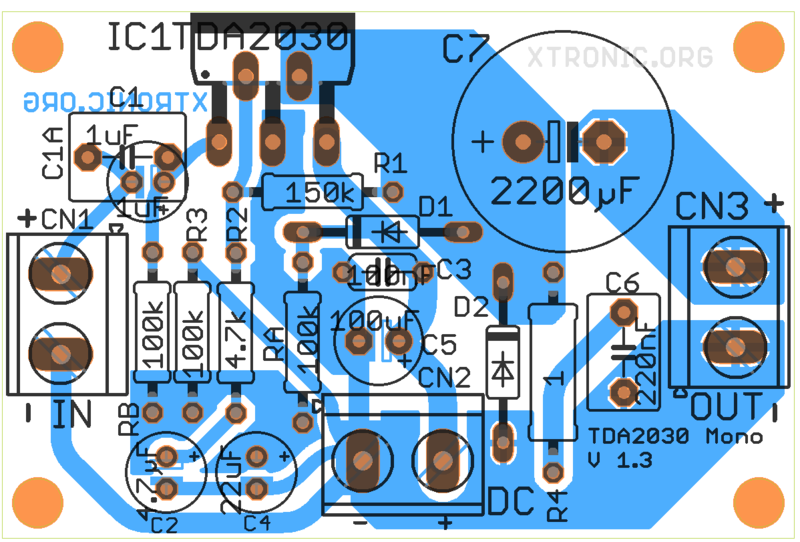 For a version in bridge for until 28 watts@14v and version using symmetrical source sees the datasheet of the tda2030. That circuit can be fed by car batteries by good time without needing to recharge her. The tda2030 is usually found as amplifier of stage of potency of systems of home theater, it is in those that promise 1000 Watts of potency. For now a tda2030 supplies 14 watts, then 5 tda2030 supplies less than 100 watts rms. But that is a good idea, to use the tda2030 as amplifier of potency of systems surround, for the subwoofer the ideal is an assembly in bridge for more potency. 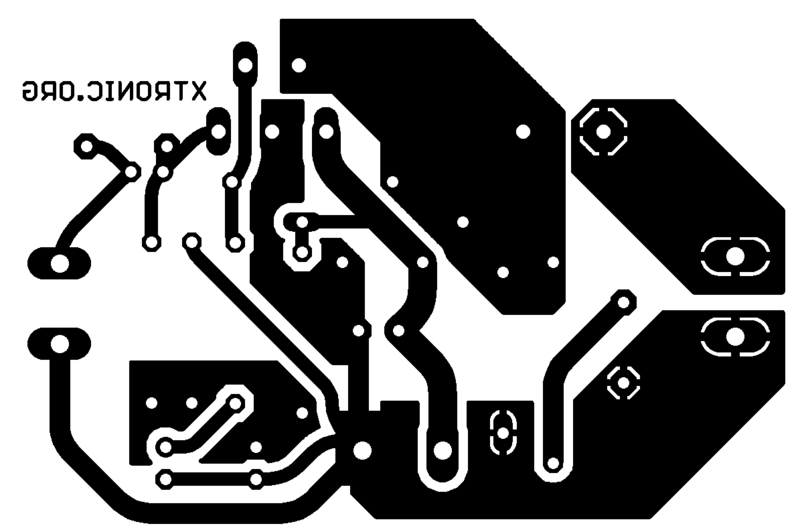 Suggestion of printed circuit board for assembly of the amplifier with tda 2030. 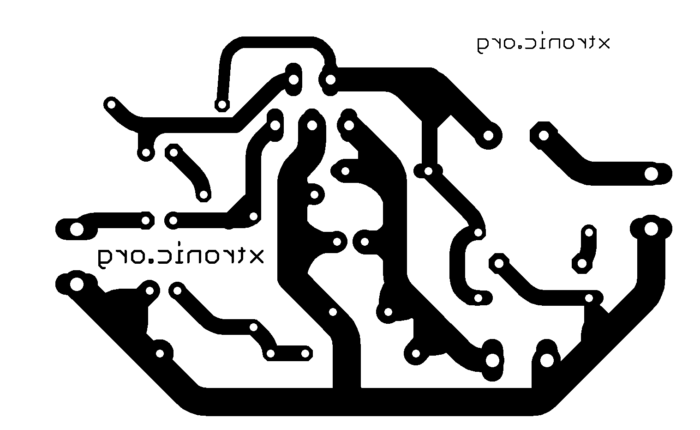 Several: circuit printed circuit board printed, heat-sink, box, wires ,etc. Please add link for this page! Use high current power supply! I am bgener intrsted about amplifier. But i dont know how to choose a good quality. Uf you have sir pls gve me a good q amps about 50watts. Thanks in adv. It’s good to start with those less powerful amps! please send the good quality tone cone control and sub pre circuit for tda 7294 to my mail id. 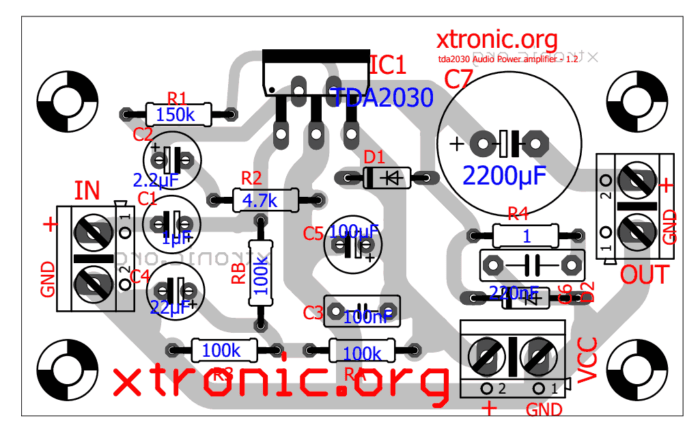 i want a simple mosfet power amp circuit,if you have plez send to me. plz i want 1000w amp circuit…..
if you want a good high power audio amplifier of 4oo watts i hava schematic diagram just send ur emailaddress and ill send you a copy of it ok.
Mr. joeri plz send me the good high power audio amplifier of 4oo watts detail.